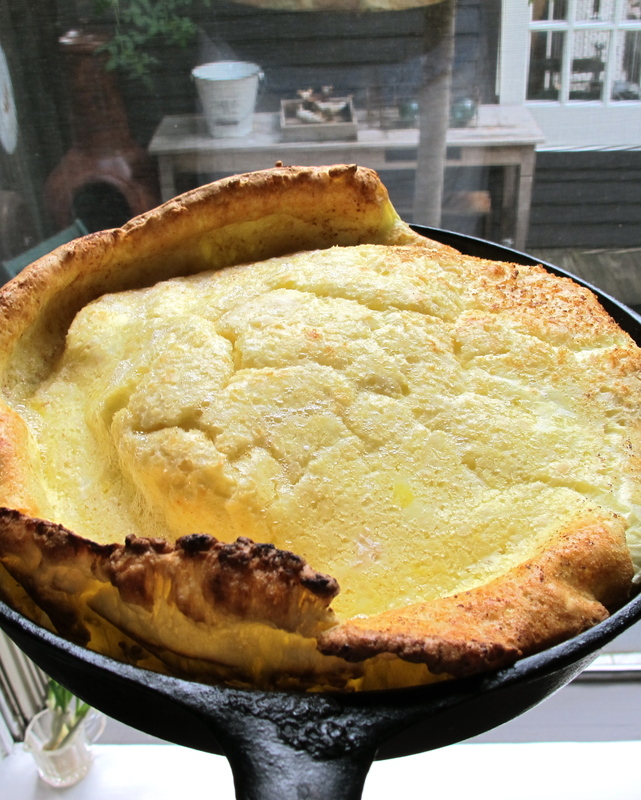 This week as we are about to embark on a trip to The Netherlands I was reminded of one of the things I love to eat when traveling there, Pannekoeken, Dutch Pancakes….Dutch Babys. 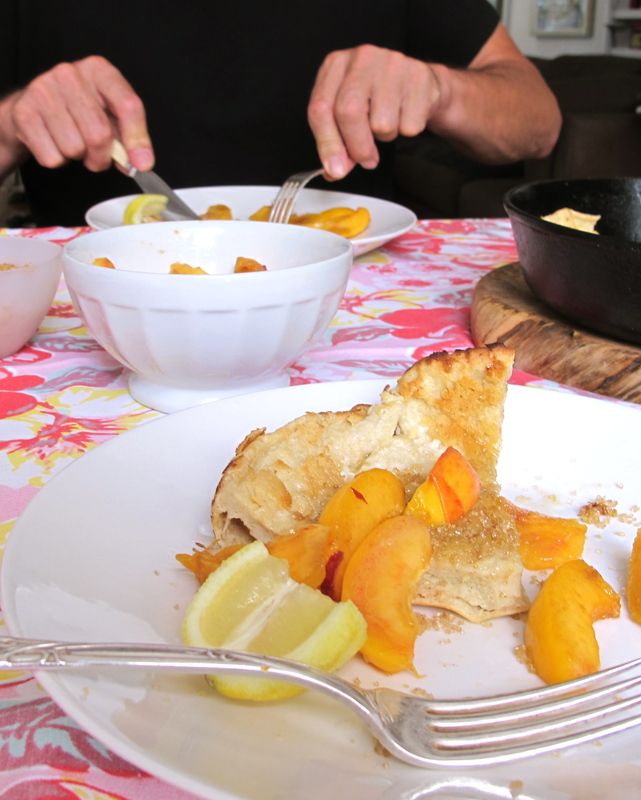 This is a post I wrote last summer in honor of these lovely light & airy pancakes that I love to eat while sitting alongside a canal watching the world float by. A couple of Sunday mornings ago it was one of those extraordinary dawns for early summer in Nashville. A bit chilly, the sun dappling through the trees, a cup of steamy hot coffee and the newspaper, nothing pressing..nothing to do…these times cry out for a quick & easy Dutch Baby for breakfast. Dutch Babys are essentially puffy pancakes. They are easy and quick. They come out of the oven very puffy and quickly deflate. They are very delicious hot out of the oven savory or sweet, with fresh fruit or thick slices of crispy bacon. To the best of my knowledge Dutch Babys are not from The Netherlands, but from Germany…go figure? If you have never made one of these beauties then you must. It is foolproof and fun. Kids love them..big and little kids. 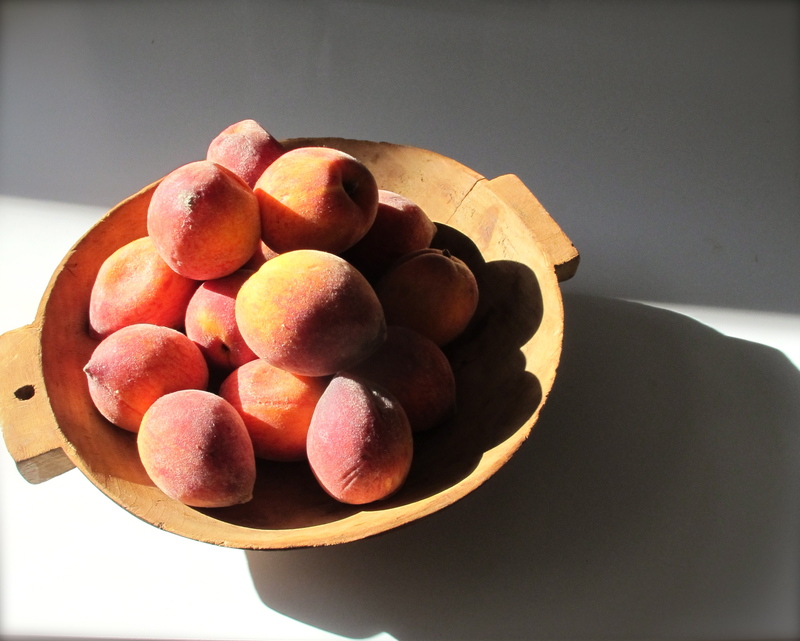 Sitting on our kitchen table was a wooden bowl of perfectly ripe South Carolina peaches. The downtown Farmer’s Market had just gotten them in by the bushels & baskets. Soft & fuzzy on the outside, juicy & sweet on the inside. 1. Turn oven to 450 degrees. 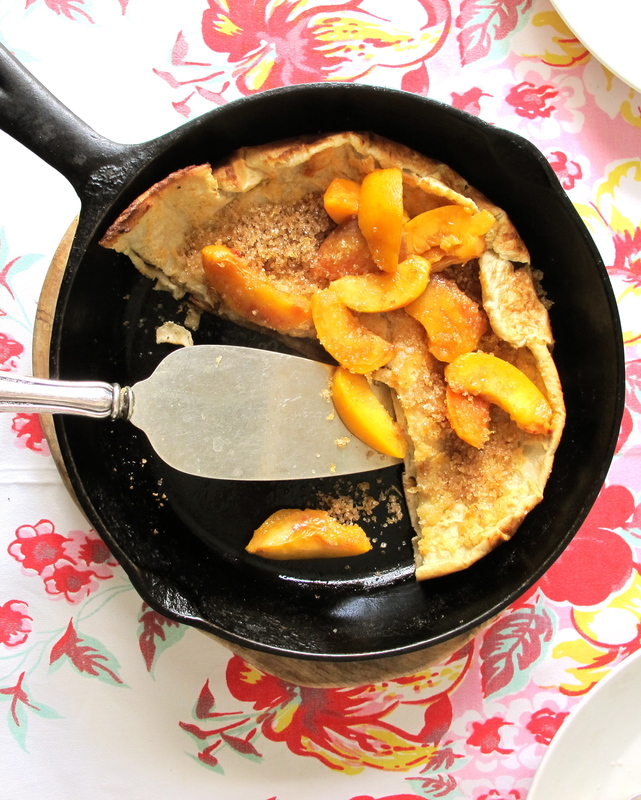 Place a 10 to 12 inch cast iron skillet in oven to preheat with oven. 2. 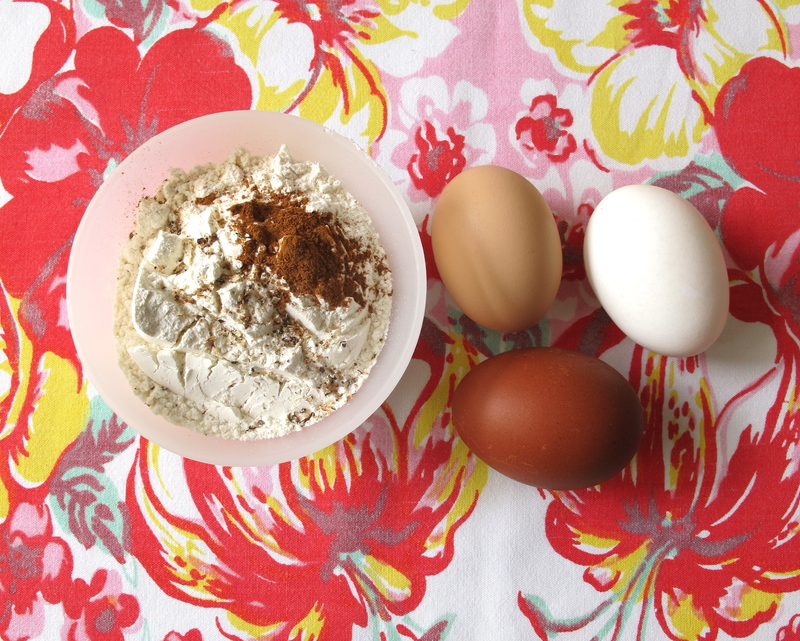 In an electric blender beat eggs until frothy. Add milk, flour mixture & vanilla to blender and beat until well blended. 3. 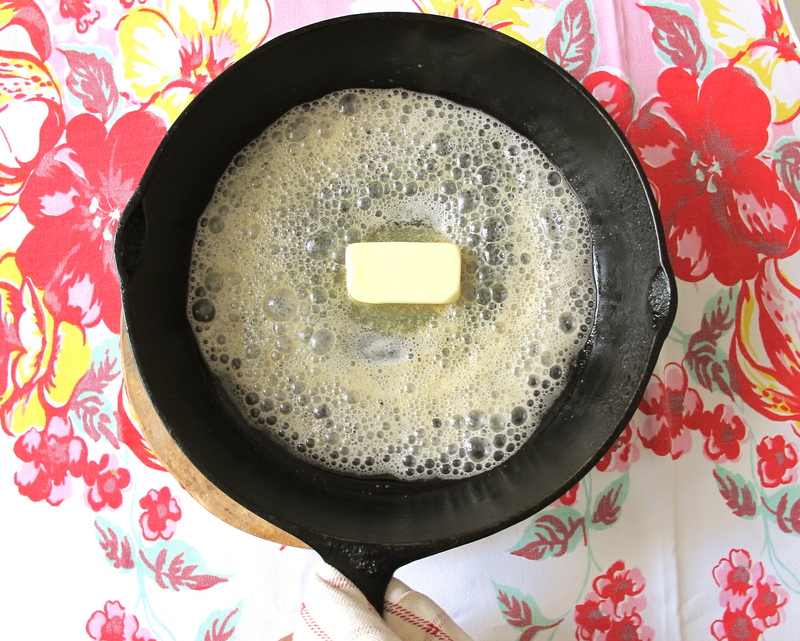 Remove hot skillet from oven and add butter. It will sizzle & melt quickly. 4. Pour batter into skillet quickly and place in oven. Bake for about 20 minutes until pancake is golden brown and puffy. 5. 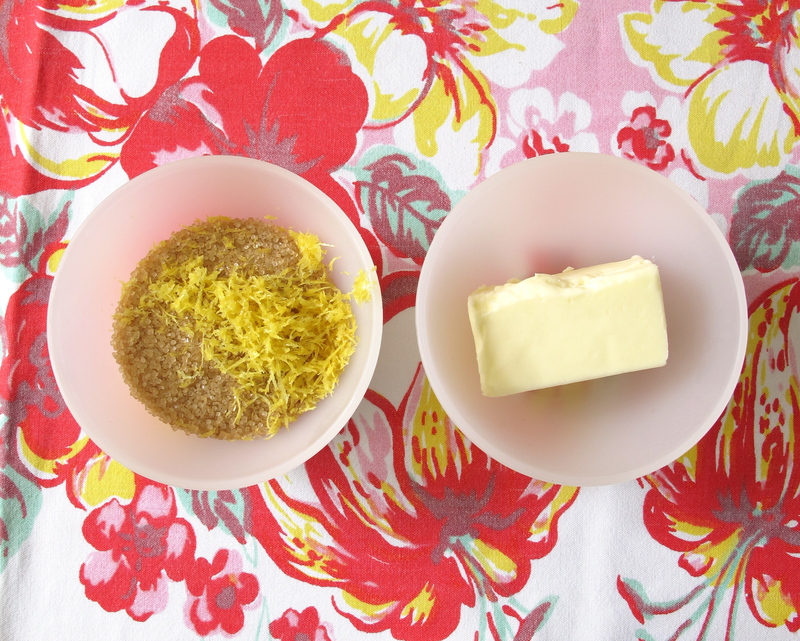 Sprinkle pancake with the sugar-lemon zest mixture. 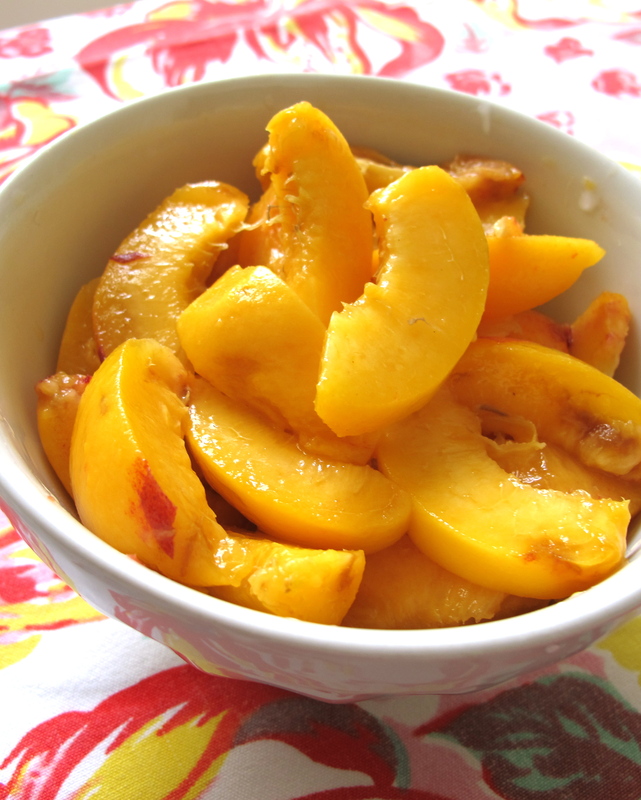 Serve piping hot with slices of fresh peaches, lemon wedges to squeeze over pancake slices & additional raw sugar to top. Dutch men named Wouter love Dutch Babys! 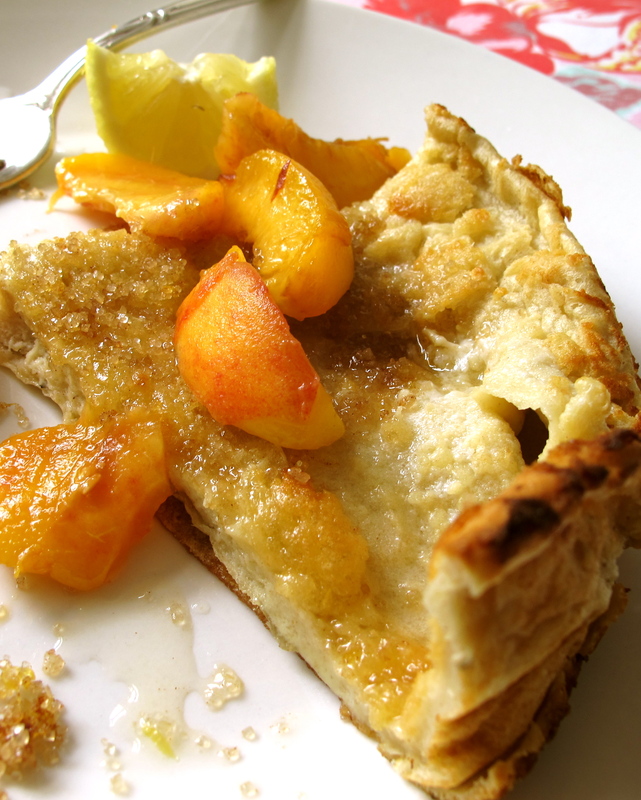 Teresa, I love the idea of peaches for the Dutch Baby. I’ve only used apples. I’m sure yours is wonderful because you know first hand how it’s supposed to taste. Have a great trip. 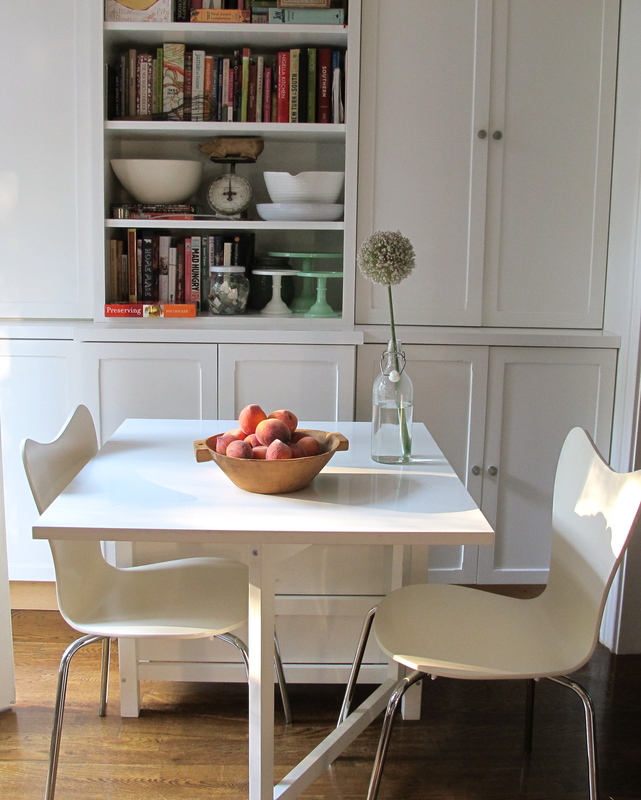 BTW, I love your white table and chairs. As for tables and chairs, Ikea and West Elm are the sources. Thanks for stopping by Angela. We will be thinking of you and Johan on Monday while having the traditional bubbly upon our arrival. Much love to you. This is just the most easy to do recipe in the world. Try it one morning and you will see. Great recipe and have a wonderful holiday! Thanks my friend who travels so much to such great places. Thanks so much. Manana is for you. We will have Dutch Babies with ripe bananas and syrup for our crossword Sunday! With Wouter’s culinary assistance of course! Mouth is watering (again)…have a wonderful trip! Thanks Jed, I will be trying out some of those wonderful Dutch beers while there! Oh my goodness does this ever look beautiful, Teresa! 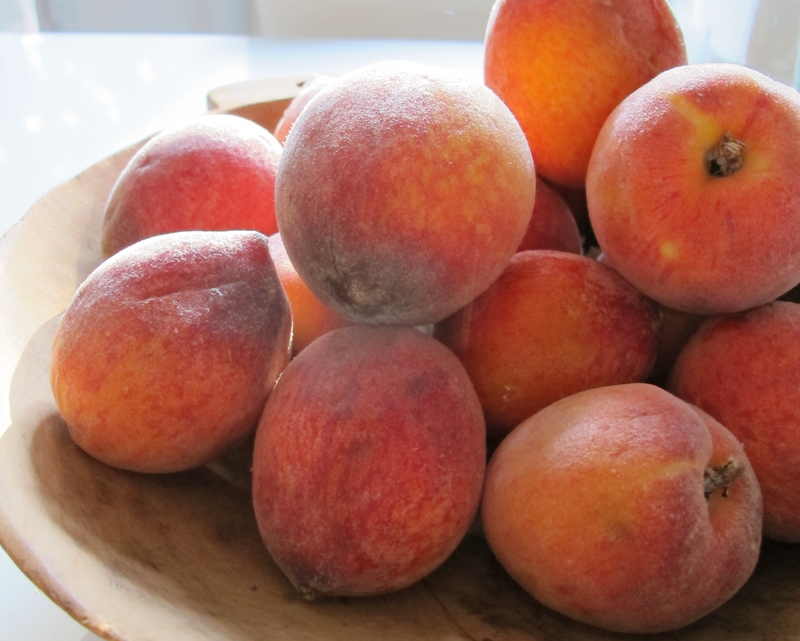 I love peach desserts, especially as the weather warms and they come more into season! This is lovely. Thanks for sharing! Thanks to you Georgia, for stopping by. Let’s have a few while in Texel! Oh I remember going to the Netherlands for the first time and having white beer and , Pannekoeken, 🙂 I still go back for more!! I’m lucky as my best friend lives in Amsterdam so I know how wonderful the country is, have you had bitter bollen – a kind of meatball, eaten with a mustard dip and washed down with a beer! If not I can seriously recommend them 🙂 wishing you a happy and safe trip ! Oh yes Bitter Bollen…we had some yesterday…one of Wouter’s favorite food while “home”…King’s Day was so wild and orange and fun. We walked around just watching everyone having so much fun.Thanks so much for your great comments Claire. Off to Texel for a few days tomorrow. It is so great that you have been there. It is such a wonderful place. That skillet shot with the puffed pancake delicacy looks wonderful Teresa. Hi Terese, I look forward to hearing about your adventures in The Netherlands on your return. 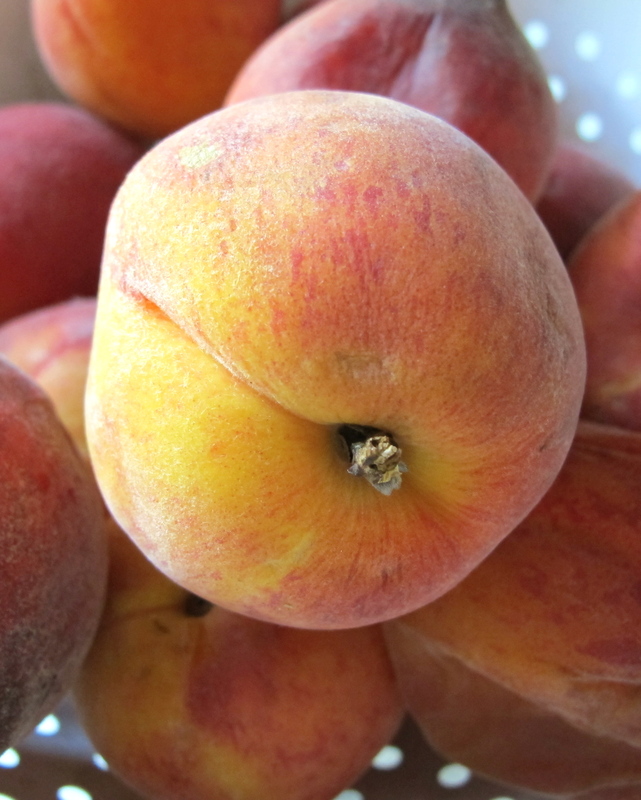 Then, we’ll all have the new season of peaches to anticipate…The Peach Truck makes its market debut in 2 weeks. Yes! The Peach Truck…I will look forward to it. 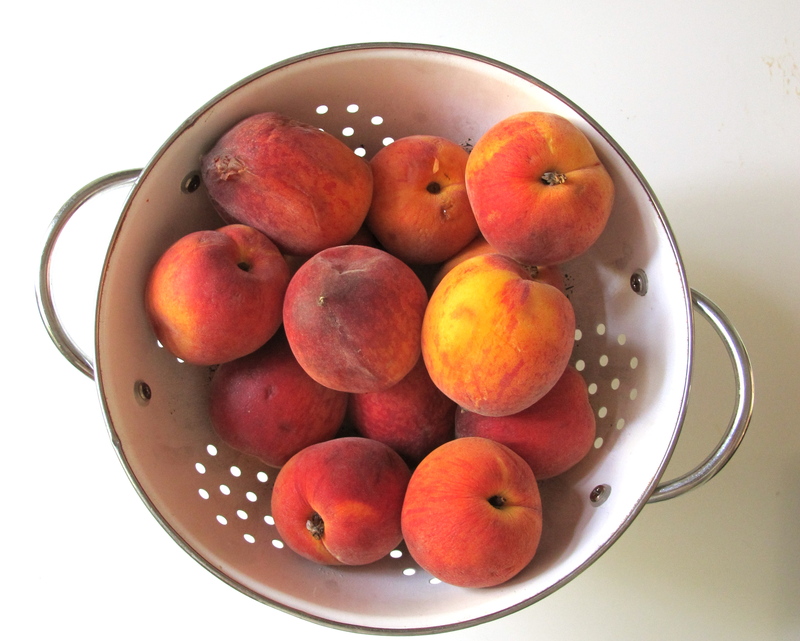 Lots of peach recipes to investigate. Oh, you are away. The Netherlands! Hopefully having a fabulous time. I love those Dutch pancakes�and miss you guys. I’m going to be in Memphis on May 23-26. Any chance you could meet me there? I love Dutch Baby. They are just wonderful to have for breakfast. Last time I made I add berries and fresh cream. 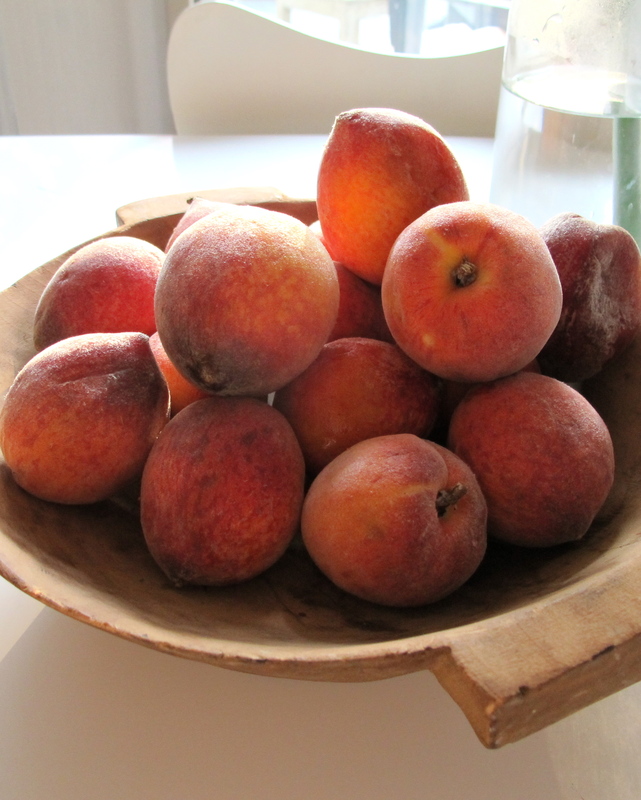 Yours with peaches looks fantastic too. Can’t wait to try it.